Courtnaye Richard is a Christian blogger, author, and women's conference speaker and has been saved for over 20 years. She has also actively served in ministry and the local church for nearly 15 years. She is originally from New Orleans, Louisiana and now resides in the Texas Hill Country (outside of Austin, Texas). 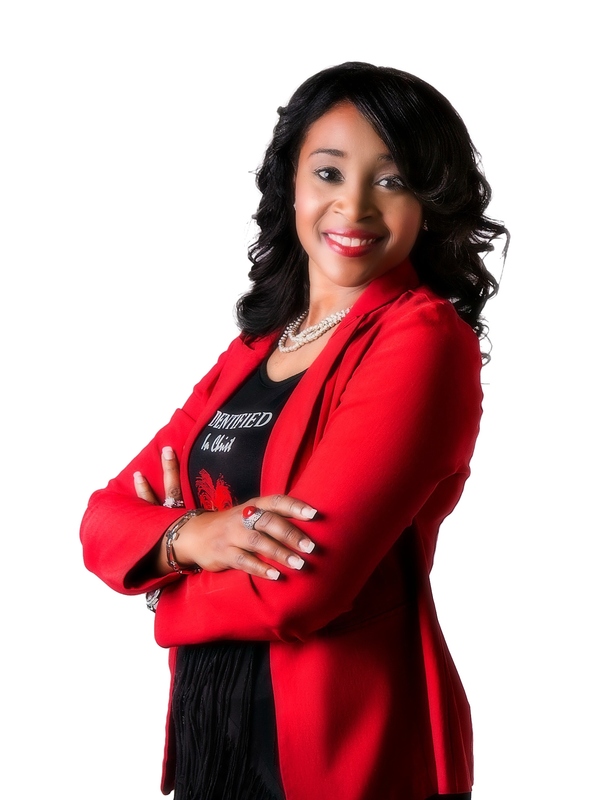 Courtnaye is also a trained and licensed minister of the Gospel of Jesus Christ. Courtnaye is joyfully married and a mother of three beautiful, active children (19, 13, & 11 years of age). She is the founder of Inside Out with Courtnaye - a ministry designed for helping women grow stronger in their walk with the Lord from a biblical and practical perspective. She is passionate about helping women grow stronger in their faith, walk out their Christian life according to the Word of God, live out their purpose, while also preparing them to be ready in every way for the swift return of Jesus Christ. She's all about real life, real talk, and real faith! She does this through blogging, devotionals, videos, audio messages, social media, her LIVE monthly video on Facebook every 1st Tuesday of each month entitled, "Let's Talk," speaking engagements, books, and more! "I believe that God is three in One, and is revealed to us as the Father, Son, and the Holy Spirit. I believe in the deity of Jesus Christ and that He is God's only begotten Son who came in the flesh (1 John 4:2, "Hereby know ye the Spirit of God: Every spirit that confesseth that Jesus Christ is come in the flesh is of God), died for us, rose again, to bring us into right relationship with God the Father and to give us eternal life through faith and confession in Him as described in John 1:1 & 14 and Romans 10:9-10 which says, 'In the beginning was the Word, and the Word was with God, and the Word was God...And the Word was made flesh, and dwelt among us, (and we beheld his glory, the glory of the only begotten of the Father), full of grace and truth...If you confess with your mouth that Jesus is Lord and believe in your heart that God raised him from the dead, you will be saved. For it is by believing in your heart that you are made right with God, and it is by confessing with your mouth that you are saved.'" Courtnaye is a firm believer of the Holy Bible, and believes that it is the authoritative and inspired Word of God as found in 2 Timothy 3:16, "All scripture is given by inspiration of God, and is profitable for doctrine, for reproof, for correction, for instruction in righteousness." For more information, questions, advice, prayer, or booking Courtnaye for your next speaking engagement, please leave a comment below or send your request or inquiry directly to insideoutwithcourtnaye@gmail.com. Thank you and God bless! Yes, Katy. I emailed you with my info. Ok. Liesa. It’s been a minute. I’m so sorry, I’m just checking your reply. How are you? Your articles are marvelous. It delights me that you point to personal relationship with God and personal holiness. Keep on pursuing Jesus! Are you interested in a personal contact? Praise the Lord! Amen! And I appreciate your words of encouragement Esther. Will do! And yes, you can inbox me on Facebook (see the link below). I look forward to speaking with you soon. And please share it with others. Thanks so much and God bless you! Do you have an email to mail to? I am not on Facebook. Hi Esther. Yes, if you fill out the form on my “About” page, we chat via email. Talk to you soon. God bless! Awesome! I appreciate that we’re on the same page with that issue. Amen! Also, I would love to check out you and your wife’s book. Maybe I can recommend it to my readers to order. Can you send me an e-book or downloadable version? Please let me know. I’ll check out your blog too! I’m actually learning more on the whole waiting/dating/courting thing. Talk to you soon! God bless you and thanks for reading my posts. I read your article on I believe. Com and got to know about your website. Wow, so inspiring. God bless you sis. Keep up the awesome work. Praise God! Thanks so much and will do in His strength and with His grace! God bless you too! Hey Courtnaye! I stumbled across your YouTube page and I was lead here! This is an amazing ministry and the logo is too cute. 🙂 I wanted to suggest that you make a blog recommending resources, especially ones for the young adult/college age women. That may include other Youtube channels, blogs, books or anything in addition to bible study that’s helped you stay on fire for the Lord. Be blessed! All glory to God that my ministry is ministering to you! And actually, it’s confirming in regards to your suggestion, because it’s something that God gave me last week to do. So it’s coming sis! Be on the lookout for it! I love it when God does things like this! God bless you too sis! I just wanted to said thank you. I remember feeling down and I felt like just give it up because of all the thing I have done people only look at my past never say well I see you have change or I see now that you want to get to know God.then some how you pop up on my Fb page at first I pass by your writing then something down in me told me to go back and just read it. So I said ok and the words that you write just a God Blessing because you reach me when I was feeling down now every day am reading your words and the the bible and I have a notebook I write in everyday.again thank you for being there at the right time though God. Praise God sis! I’m soooo glad that you doubled back to read my post! And thanks so much for your support in reading more posts! God knew exactly where you were at the time when you read that one! And that’s what I call, “Love from the Father.” Once again, I’m so glad that it encouraged you and helped you to see a little more clearer what GOD is saying to you and about you vs. man. He sees your change, and in the long run…people will too. Hold on sis. God’s got you! What a wonderful surprise (and blessing!) to happen upon your article at iBelieve,com and the link to your blog. I’ve enjoyed reading your articles. I am just venturing into the blogging world (about 8 months of feeling my way around) and am definitely a novice at Facebook, Twitter and other social media. Thank you for the example you are – for Christians, for women, for Bloggers! Any suggestions for the latter? You can visit me at http://dhralive.com/. I am working on two new blogs that will, I pray, launch soon! Thanks for writing in and for reading my blog posts! I thank God that He allowed you to stumble upon them and thanks for the encouragement. Blogging is fun and great to reach God’s daughters and aspiring ones! I visited your site (blog) and I pray that God will continue to use you for His glory as you grow in the land of blogging for advancing His Kingdom. If you have any specific questions about blogging, email me at insideoutwithcourtnaye@gmail.com and I can share with you a few extra tips! Talk to you soon! Hi Courtnaye, I have enjoyed reading your weekly Monday blogs. They have been an inspiration to me and I have shared them with family members as well. I would love to talk with you personally. Let me know the best way I can have a one on one with you soon. Hi Stephanie. Thanks for reaching out sis! And I give God all the glory that my Monday blog posts have been ministering to you and been an inspiration! I certainly can’t do this without Him. 🙂 I will email you. Talk to you soon! God bless and thanks again! Hi Courtnaye.I’m so glad I found your site.The devotions I get in email are right on,just for me.It amazes me when I read them,thinking this is exactly the encouragement and help I need for this season.What a blessing you are !! I appreciate you so very much !! I pray God richly blesses you. Greetings Courtnaye, I have been receiving your Blogs weekly from a Brother in Christ. Last week, I did not receive your Blog and therefore, sent him the reminder alert 🙂 Of course I then realized that if I enjoyed your dissemination of HIS Words, I needed to sign up myself. So that I did! I too send some of your Blogs to my friends. Thank you for this ministry…thank you for allowing our Lord to inhibit your mind, your being to be full and running over with these weekly Blogs. I read your Blog, with prayerful expectations that there will be something specifically for me. Something that will bring HIM more Glory. There is always something for me! And if there is something for me, I have to share it with someone else. I wish you and your family more of HIS Blessings, that truly abound. I enjoyed reading your post on Ibelieve.com about starting new relationships for 2016. You focus on many areas for single and married women. My pastor says that a Christian cannot be an island. In other words, we must develop good relationships with others and strive for the best in life. I have been a Christian for many years and meet wonderful Christian women. Other women encourage me to be a better a Christian. I just stumble over your webpage not by accident it was a reason. Is there a well I would be able to contact you with some personal questions? I just read God is preparing you! Is minister to my soul. I really have a few questions that I would love to you ask you on a personal note. OMG! You are so awesome I thank God for you! Hello Courtnaye! I am so grateful to God for your blog!! Finding a blog that stands firmly on the Word is RARE! Most importantly to share the truth in LOVE. I appreciate and I am grateful to God for your obedience! I am inspired and motivated to live in total obedience to the Father! I am also a new blogger and if you don’t mind could you share some tips on how you remain motivated and what has helped you remain consistent with your blog? God bless and please keep doing what God tells you to do it is impacting a generation! Wow! Praise the Lord! Your comment was quite encouraging sis! I am so grateful to God that my blog has ministered to you! I will be in touch with you about the tips on blogging as well, so be on the lookout for those! God bless you too and will do!!! Thank you so much for all of your inspiring messages. I enjoy reading each and everyone of them. What an encouragement you are!! learning how important it is to stay grounded in him and his word so that you don’t lose yourself and get caught up in all of the hype and ups and downs of this industry. So finding your page was right on time!!! I came across your web site back on December 12 and you sent me the 5 simple steps to grow your influence and income. After watching it, you have inspired me to overcome my fears and do what God has being calling me to. I started writing my own daily devotions about 2 months ago with 20 people and now I am up to 52 people I send it to every morning. I have met a lot of people and they are asking me when am I going to do more including doing a seminar. Thank to you I have signed up to do a you tube channel and in the process of getting my devotions copyrights. Thanks again for the encouragement and sharing the word.